Born and trained in Ireland, Dorothy Kay was a member of the Elvery family, which was the subject of one of her most famous group portraits (1938), now in the collection of the Iziko SA National Gallery (The Kay Bequest). The artist’s sister, Beatrice, Lady Glenavy (1881-1970) was a highly-active painter, stained glass designer and associate of Sir William Orpen. Dorothy Elvery came to South Africa to marry Dr Hobart Kay FRCS in 1910. By 1916, the Kays had settled in Port Elizabeth, where Dorothy immediately became a doyenne of the arts. She was a founder-member of the Eastern Province Society of Arts and Crafts (EPSAC). Very much a hard-working academician by training and temperament, Kay was largely sceptical of modern painting and she was known to be caustic about the work of Irma Stern. In 1924 she was elected a member of Royal British & Colonial Society of Artists. She began to etch at this time, and her prints found inclusion in the publication Fine prints of the year in 1929 and 1934. The purchase of her etching entitled Romance by Queen Mary from the Dominion Artists’ Exhibition, London, launched her long career as illustrator to the magazine Outspan. Kay travelled a great deal in South Africa and overseas, always armed with sketch-book. She painted scores of commissioned portraits of successive mayors of Port Elizabeth. Many of these portraits perished in the fire which destroyed the City Hall in 1977. In 1940 she was employed by the Union Government as a war artist, which led to her work being absorbed into the collection of the South African National War Museum. In 1957, two of her paintings, Annie Mavata and Rome, self-portrait received highly commended awards on the exhibition, Portrait of a woman by a woman in Sydney, Australia. Kay had four children; three daughters and a son. Her daughter Joan Wright (1911-1991) taught painting at the Port Elizabeth Technical College School of Art and Design. 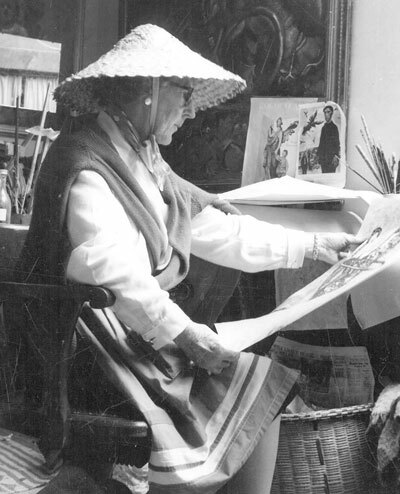 Another daughter, Marjorie Reynolds, assumed the role of chief hagiographer to her late mother, publishing two books of her memoirs and bequeathing her entire personal collection of paintings, drawings, prints and archival material as ‘The Kay Bequest’ to the Iziko South African National Gallery in 1992. Alec Marjorie Reynolds. (ed.). 1991. The Elvery Family: A Memory, Memoirs of the Artist Dorothy Kay, Carrefour Press, Cape Town. Marjorie Reynolds. 1989. (ed.). Everything you do is a Portrait of Yourself – Dorothy Kay: A Biography, Carrefour Press, Cape Town. Born Greystones, County Wicklow, Ireland 1886 – died Port Elizabeth, 1964. Training: 1900: Dublin Metropolitan School of Art; Royal Hibernian Academy School. Also made study trips to Paris, but promoted the notion that she was ‘self-taught’. Exhibitions: 1919: South African Society of Artists (SASA) exhibition, City Hall, Cape Town; 1922: First solo exhibition, Grahamstown. Regular exhibitor on exhibitions of the Eastern Province Society of Arts and Crafts (EPSAC), Port Elizabeth; 1924: South African Section, Empire Exhibition, Wembley; 1926 : Dominion Artists’ Exhibition, London; 1940 : Royal Academy, London; 1941: SASA Annual Exhibition, SA National Gallery, Cape Town; 1952: Van Riebeeck Tercentenary Exhibition, Cape Town; 1956: First Quadrennial of South African Art; 1960: Second Quadrennial of South African Art; South African Graphic Art Exhibition in Yugoslavia and Munich; 1961 : Sao Paulo Biennale; 1964 : Third Quadrennial of South African Art; Venice Biennale; 1965:South African Women Artists, South African National Gallery, Cape Town; 1966: Retrospective exhibition touring to Pretoria Art Museum and Durban Art Gallery; 1979: South African Printmakers, South African National Art Gallery, Cape Town; 1982 : Retrospective Exhibition, South African National Art Gallery, Cape Town; 2004: Through the Looking Glass: Representations of the Self by South African Women Artists; Albany History Museum, Grahamstown; East London; Durban Art Gallery; Standard Bank Gallery, Johannesburg. Collections: Iziko South African National Art Gallery, Cape Town; Durban Art Gallery; Pretoria Art Museum; Queenstown Art Gallery; Nelson Mandela Metropolitan Art Museum, Port Elizabeth; MuseumAfrika, Johannesburg; South African Museum of Military History, Johannesburg.